Many Shared Interest Groups (alumni.harvard.edu/haa/clubs-sigs/sigs-directory ) host get-togethers during Commencement and Reunion week. 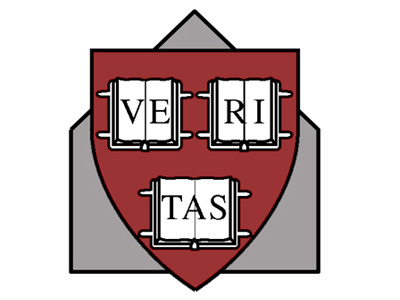 Some early listings appear below; updates will be posted at alumni.harvard.edu/events/haa-shared-interest-group-2016-reunion-events . HGSC holds its annual Commencement Dinner on Thursday, May 26, at Lowell House, with featured guest Annise Parker, mayor of Houston from 2010 to 2016. Cambridge mayor E. Denise Simmons will join Parker on the panel of dinner speakers, and former Cambridge mayor Kenneth E. Reeves will serve as panel moderator. For details, visit www.hgsc.org . On Friday, May 27, local members and reunioning alumni will gather at Charlie’s Kitchen in Harvard Square to meet and mingle from 5 to 7 p.m. Cash bar. This event is free, and guests and family members are welcome. RSVP requested; visit www.harvardwood.org/ harvardwood_2016_reunion_mixer . Join fellow Harvard Glee Club/Radcliffe Choral Society/Harvard-Radcliffe Collegium Mu- sicum alumni on Saturday, May 28, at 3 p.m. in Paine Hall for the only reunion event where you can relive your Holden years! This Marvin double-header features sing-throughs of the Fauré Requiem and Haydn Lord Nelson Mass, with Dr. Jameson Marvin, conductor, and Noam Elkies, orchestra. No RSVP required. Details at www.hrcmf.org . All alums interested in public service, whether former PBHA volunteers or not, are invited to an Open House on Saturday, May 28, from 2:30 to 5 p.m. at Phillips Brooks House to reconnect with classmates and meet PBHA staff and current students engaged in exciting public-service projects in homelessness advocacy, child and youth services, and elderly and prison services. Light appetizers and refreshments will be served. Learn more at alumni.pbha.org .